What to improve your website? 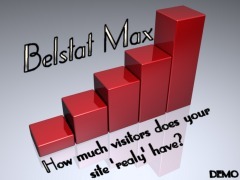 you need great statistics to create a better website. With the belstat counter you can measure all you need to know to make all needed improvements. Register to find out more, our basic tools are free to use. Beside a counter we have other tools as well, you can detect errors in your website or even find new links to your website. All tools are used to monitor or optimize the website and check your competition. Want to know more, please contact us.